Bio: 23 year old Jen Hudak won her first halfpipe competition in 2003 and as been honing her craft ever since. Self described as an “environmentally-friendly, nerdy, loud, people-loving jock,” Hudak went off in 2010. In January she won Superpipe gold at the X Games in Aspen, then in March she took her skis to Tignes, France and won gold at the inaugural Winter X Games Europe. 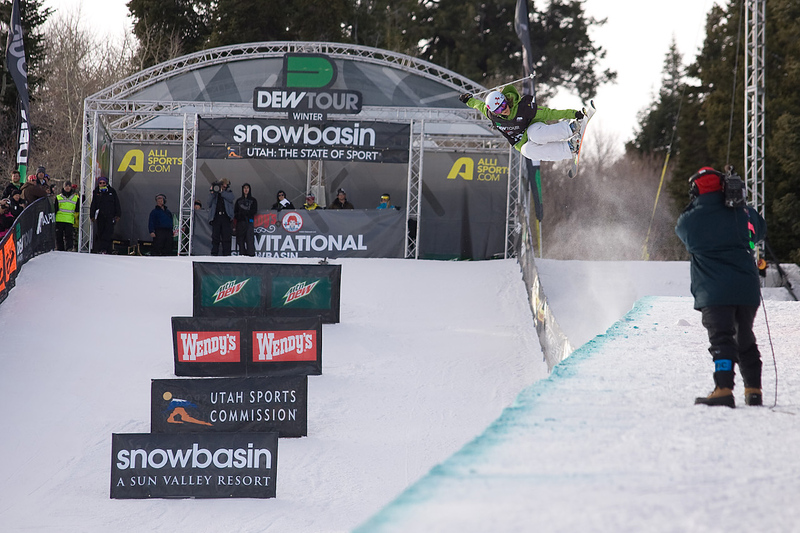 Over the last 6 years she has 5 podium finishes at the X Games and 3 at the Dew Tour. She is one of the only women throwing a 900 in the pipe and will be a force to reckon with for years to come. A: Re: Face-Off – It would be sweet to spend a day in the life of someone completely unlike you! Q: You won TWO X Games Gold Medals this year (US & Europe). How did you spend your winnings? A: Most of the money I put in savings, but the rest I’m spending fixing up the house that my sister and I bought in Salt Lake! Q: So if you were in Face-Off, who would you switch places with that was completely unlike you? Q from @skullcandy: What’s your pre competition pump up song? A: in Aspen it was Lady Gaga’s “Eh, Eh” and in Europe it was Eve’s “Who’s that Girl” but it all depends on the mood I’m in! A: (cont.) Some days I need to pump myself up and some days I need to calm myself down… music helps a lot! A: I do have a pretty bad hematoma on my left hip, but tucker travels with tanning oil and likes to bake in the sun on ski trips! Q: One of your favorite movies is Across the Universe. What is your favorite Beatles song? A: My go-to seems to be “Revolution”, but “A Hard Day’s Night” is a great song too! A: I love riding Buttermilk’s pipe esp. on a sunny spring day. But on a pow day Alta takes the cake! Q: What would you call a reality show about your life? 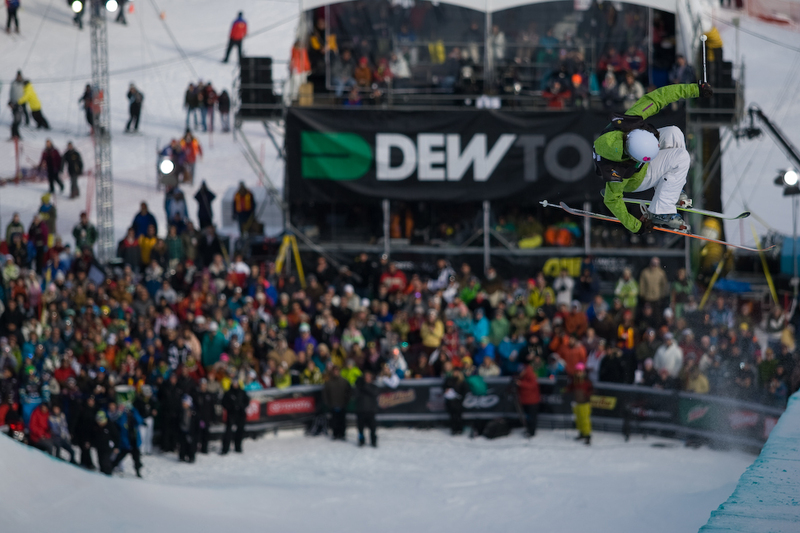 Q from @thedewtour: Read that you took a job waitressing one summer. What’s the perfect meal to eat before a competition? Q: If you owned a Delorean, where and when would you travel to? A: (Cont.) that man accomplished so much and without a computer or a cell phone! amazing! Q from @miles_k: What’s your biggest fear while competing and how do you overcome it? Q from @pballin77: How many songs do you have on your iPod/mp3 player? Q from @erikseo: I hear you have a neighborhood peacock. Does it have a name yet? Q from @bikerblue1972: Do you have any rituals you go through before competitions? How do you stay focused? A: I always visualize my run perfectly before dropping in. I used to be more “ritual” focused but now I just try to keep my mind..
A: off of distracting or negative thoughts. Once i’m on the hill on contest day, my skiing is auto-pilot… I just trust my body. Q from @bojo20: Who was the best dancer at the Foggy Goggle during Kristi’s Homecoming Event this year? A: haha!!! how’d you know? umm @keriherman, @dania_assaly and myself were on the podium for dancing skills! Q from @colinVAPOR: What’s worst place to ski? (Ed Note: Is there one?) and have u ever skied indoors? A: ummm, don’t know where the worst place to ski is…it’s all fun! and nope, never skied indoors, but dubai is on my list! Q from @skiingrogge: What’s it like having @mattyhorn and @jerseymichael as agents? A: It’s the best thing ever! Those 2 have my back through everything. it’s important to be surrounded by people who believe in u! Q: Today is Draw a Bird Day. http://bit.ly/bRASfV What bird will you be drawing? A: Since i now have a part time peacock as a pet… i think i’ll draw a peacock! haha! i forgot that NBC’s logo was a peacock! I’ll definitely do that! Q from @mizzo8: Any off-season plans, if there is an off-season anymore? A: Off-season now means “non-major-comp” season. but I’ll be skiing lots! Probably in Hood, New Zealand and Chile/Argentina! Thanks @AlliSports for the great interview! And thanks everyone for your questions!